Sadly, we don’t have much Neanderthal ancestry left. It seems that much of their contribution to our genome was soon purged by natural selection, likely because it was downright harmful to our survival. However, new research reveals we’ve been overestimating this purge. It turns out most of us are more Neanderthal than we ever thought2. So, where did earlier researchers go wrong? Well, this sort of genetic comparison works kind of like building a family tree. Say I wanted to find how Neanderthal I was. I could find an ancestral human “parent” and an ancestral Neanderthal “parent.” Then, I’d compare their DNA to mine, revealing my human bits as those similar to the human parent, and my Neanderthal bits as those like the Neanderthal. However, this approach is only as good as the “parents” used for the comparison. For instance, if the human parent had some unknown Neanderthal ancestry, then Neanderthal genes in me would actually look like they came from the human; masking my Neanderthal ancestry. And ultimately, that’s where earlier research went wrong. See, Africans are often used as the human “parent”. After all, they should lack any Neanderthal DNA as the interbreeding happened whilst people migrated out of Africa. However, since then many African populations have mixed with Eurasians, introducing a bit of Neanderthal back into Africa2. This means that the African group used as the “parent” – and the amount of Eurasian DNA they now have – has a big impact on calculations of Neanderthal ancestry 2. In 2017 we found a second complete Neanderthal genome, revealing that some of human “parent’s” genes were Neanderthal all along. 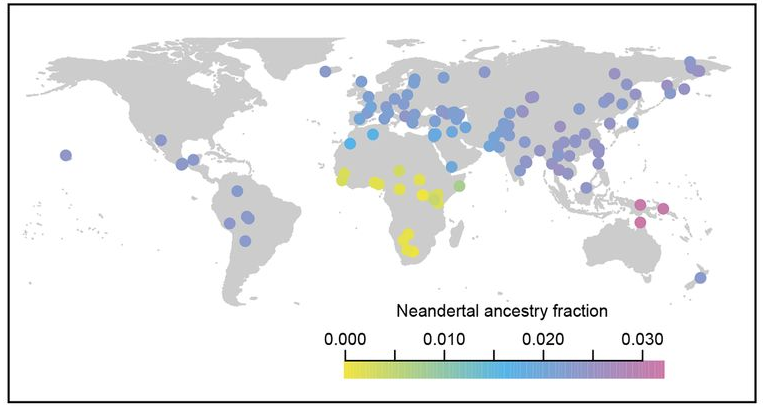 Ultimately, this wound up showing that non-African Neanderthal ancestry was ~20% higher than we thought. Since then, Petr et al. have also cross-referencing human “parents” with this second Neanderthal. The process is way more complex than I’m making it sound, but the key takeaway is it confirms the new Neanderthal’s initial findings. Most Eurasians do actually have ~20% more Neanderthal DNA than we thought. “Big woop”, you might think. We managed to confirm what we already knew. However, Petr et al. also made a new discovery, using ancient DNA from humans living closer to the interbreeding event. This revealed that those earlier populations had a similar amount of Neanderthal DNA as we do now. Which is the exact opposite of what we thought was going on. See, many Neanderthal genes were harmful to humans. Thus, natural selection has been purging them from our genome. However, we thought this was a gradual process that happened over many generations. Petr et al. document it actually happened very quickly, before stabilising ~45,000 years ago. Since then, there’s been very little change in our Neanderthal heritage. Researchers have been underestimating the amount of Neanderthal DNA in non-African populations. New work helps fix this problem, confirming we have ~20% more Neanderthal DNA than expected. However, we also still have a fairly small amount overall (<5%). This was because the Neanderthal DNA was harmful, and natural selection purged it from our genome. We previously thought this purge was a slow one. It turns out it actually happened very quickly, with most Neanderthal DNA being lost in a few generations after interbreeding. Well, it reinforces how bad for us Neanderthal DNA was, hence the rapid purge. Further, the relative stability of Neanderthal genes since then implies no later instances of interbreeding. We hooked up for a period, then parted ways. Finally, that stability suggests Neanderthal DNA is doing something important, or random drift might have moved it. To sum up, we have more Neanderthal DNA than we thought and it’s more important. However, the initial load of Neanderthal genes was even more harmful than we suspected. Sankararaman, S., Mallick, S., Dannemann, M., Prüfer, K., Kelso, J., Pääbo, S., Patterson, N. and Reich, D., 2014. 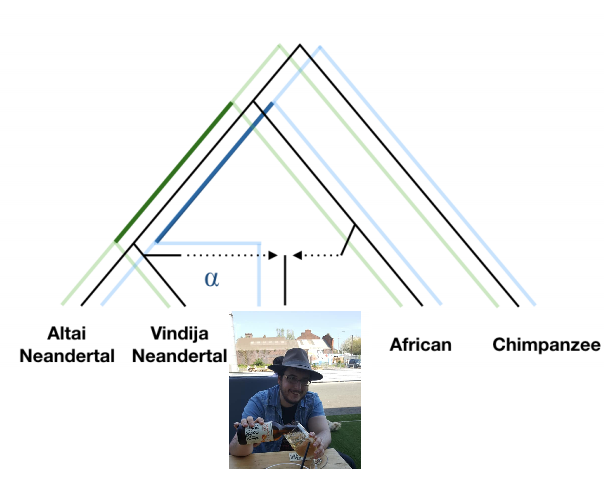 The genomic landscape of Neanderthal ancestry in present-day humans. Nature, 507(7492), p.354. Petr, M., Pääbo, S., Kelso, J. and Vernot, B., 2019. 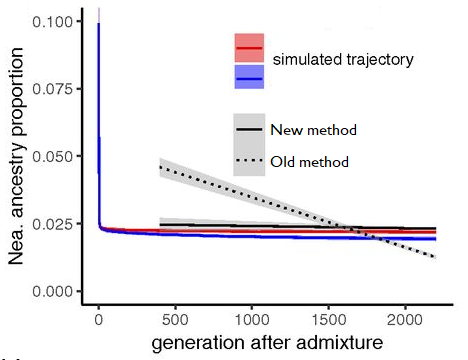 Limits of long-term selection against Neandertal introgression. Proceedings of the National Academy of Sciences, p.201814338. Next post: How did the Australopithecus sediba fossils die?